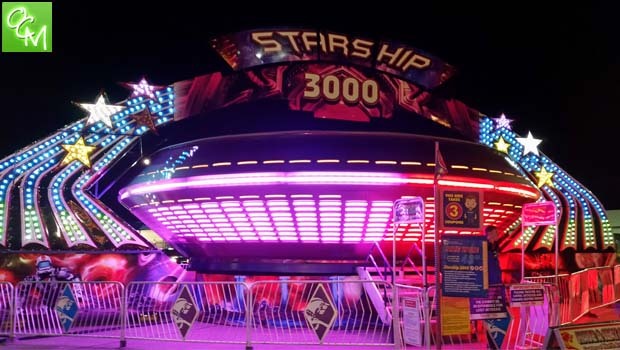 Michigan State Fair Tickets Contest – Enter to win FREE 1-day admission for 4 PLUS 4 FREE ALL-DAY ride wristbands to the 2018 Michigan State Fair at Suburban Collection Showplace in Novi. The 2018 Michigan State Fair takes place Labor Day weekend starting Thursday, August 30 and running all the way through Labor Day, September 3, 2018. The Michigan State Fair 2018 brings fun for the whole family… A HUGE carnival midway, music / entertainment, Shrine Circus Tents, exhibitors, Farmer’s Market, agriculture/livestock, racing pigs, and more. Visit www.MichiganStateFairLLC.com for more details on the Michigan State Fair 2018 ticket pricing and options. e-mail me at lisa@oaklandcountymoms.com. Put Michigan State Fair in the subject line and don’t forget to include ALL of your contact info (name/e-mail/phone #). Please let me know if you’ve completed steps 1-3. I’ll accept entries through Friday, August 24, 2018 and draw/notify a winner on August 25, 2018. The winner will receive 1-day admission for 4 PLUS 4 FREE ALL-DAY ride wristbands to the 2018 Michigan State Fair at Suburban Collection Showplace in Novi. The winner will be notified how to pick up their prize on 8/25. This Michigan State Fair tickets contest is sponsored by our friends at suburbanshowplace.com.